A casual outing with friends lead to a bit of casual shopping and each one of us picking up the same maxi for ourselves. Trust a bunch of fun and totally mad gals to do something like this. Each one has a style and some style preferences and trust me I am the kind who had a big block to anything to do with extremely girly stuff like hearts, flowers and a pink room. But whats fashion if you dont break rules and sometimes your own rules. 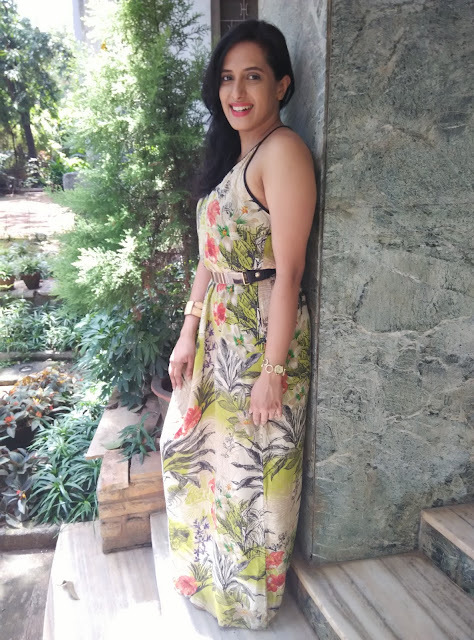 So here is me in a garden wearing a maxi with a beautiful garden print on it. 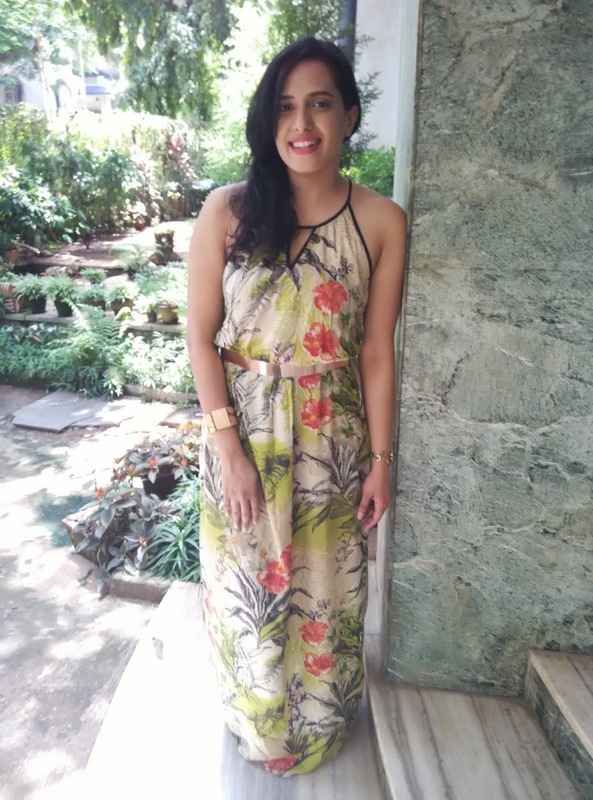 The cotton fabric is so comfortable for the summers and the neckline is what I love about this dress. The black piping is the perfect contrast to all the busy print on the dress. I have accessorized using a gold and black belt and a cuff from my jewellery stash. 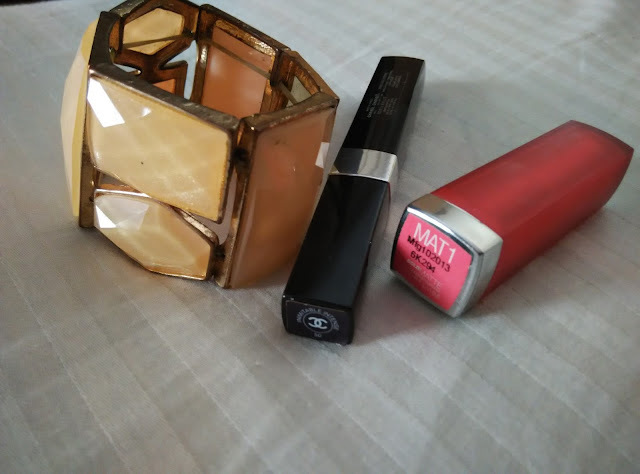 For my makeup I have used the Maybelline Mat 1 lipstick and a Chanel mascara. Hope you enjoyed this OOTD post...dont forget to comment and follow me for more updates.